Why: A page-turning saga of life and death set against an entrepreneurial background. Let’s get this out of the way for starters: I dislike cold weather. Intensely. As a sixth-generation Minnesotan, you’d think I’d be genetically engineered to thrive at this time of year, but to be honest winter leaves me, shall we say, cold. I can barely skate, and although I’ve gone skiing and snowshoeing from time to time and have enjoyed myself, these are not activities I live for. Give me a blue-skied autumn day-mild temperatures, golden sunshine, falling leaves. Nonetheless, it intrigues me to read about people who are willing to embrace extreme cold to reach their goals. And about other people who are quite happy to help them do so, for a price. Yes, folks, entrepreneurism is alive and well at the highest place on earth. It certainly was in 1996 when Jon Krakauer wrote his best-seller about that year’s deadly Mount Everest climbing season, and business is still booming. The book—which has been the subject of some criticism regarding accuracy—has nonetheless been very popular, was adapted into a made-for-TV drama, and is being made into a 3D feature film, slated for release later this year. 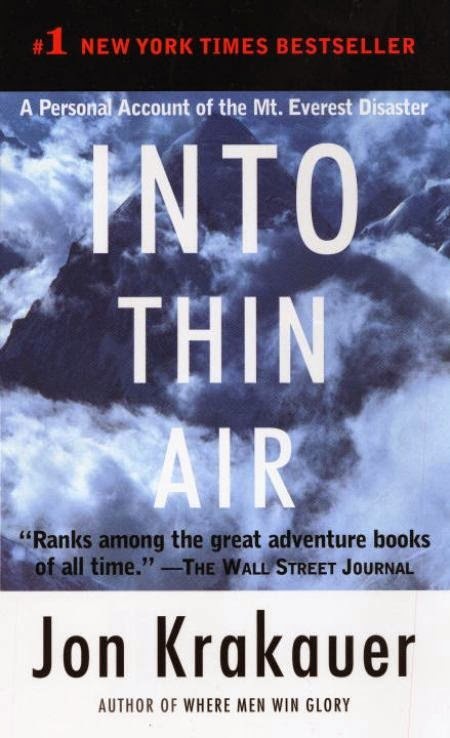 A highly recommended read: Life and death and the price of ambition against the background of the commercialization of Mount Everest.